Room was absolutely amazing, just breath taking! Everything about the stay was! Marie was sooo nice! She made us a delicious breakfast and gave us great advice about the area. 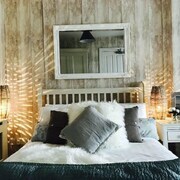 The room qas small but beautiful. 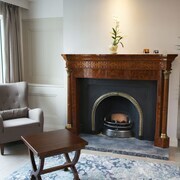 Where to find Dungloe hotels near an airport? Where can I find hotels in Dungloe that are near tourist attractions? Visitors to Dungloe are advised to book a room well in advance of their trip, as there isn't an extensive range of accommodation options close to Dungloe's downtown. 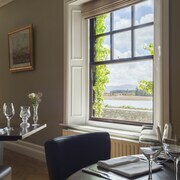 The Harvey's Point Hotel, Ireland, which is the closest accommodation, is 35 kilometres (21 miles) from downtown Dungloe. 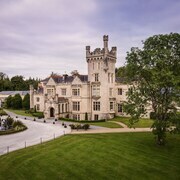 Also, try the Lough Eske Castle, a Solis Hotel & Spa, located in Ireland, which is 35 kilometres (21 miles) away. 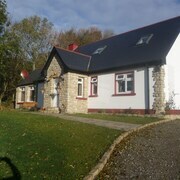 The Woodhill House is located 20 kilometres (14 miles) from the main part of Dungloe. 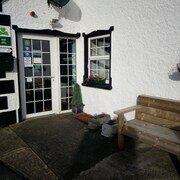 Or, alternatively, the Bunbeg House is situated 12 kilometres (7 miles) away. 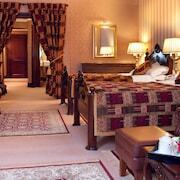 Two other places to rest your head include the Eagle's Nest Bed & Breakfast and the Caisleain Oir Hotel. Ballyshannon is 50 kilometres (31 miles) to the south of Dungloe and is where you'll find Five Oaks Ranch and Lakeside Centre. 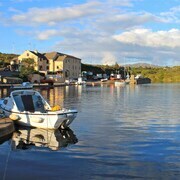 Expedia-listed Ballyshannon hotels are the Randwick and Heron's Cove. 35 kilometres (22 miles) to the south of Dungloe, you'll also find Killybegs, which is home to the Bay View Hotel & Leisure Centre and Tara Hotel. While visiting Killybegs, you might like to visit the Killybegs Maritime and Heritage Visitor Centre and Maritime & Heritage Centre. Before you head home, why not spend an afternoon hanging out with Donegal sports obsessives at a local match. Letterkenny Leisure Centre is 40 kilometres (23 miles) to the east of Dungloe. If you are interested in sleeping close by, make a reservation in the Radisson Blu Hotel, Letterkenny or Clanree Hotel. 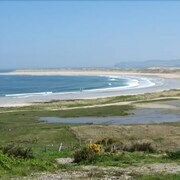 Check out Expedia's Dungloe travel listings and discover the great things to do, see and eat this part of the world has to offer. What are the most popular Dungloe hotels? Are there hotels in other cities near Dungloe? 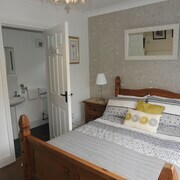 What other types of accommodations are available in Dungloe? Explore Dungloe with Expedia.ca’s Travel Guides to find the best flights, cars, holiday packages and more!